40 years young, never looked so good! Recently, Nas celebrated his 40th birthday, lookin’ quite dapper in pink. 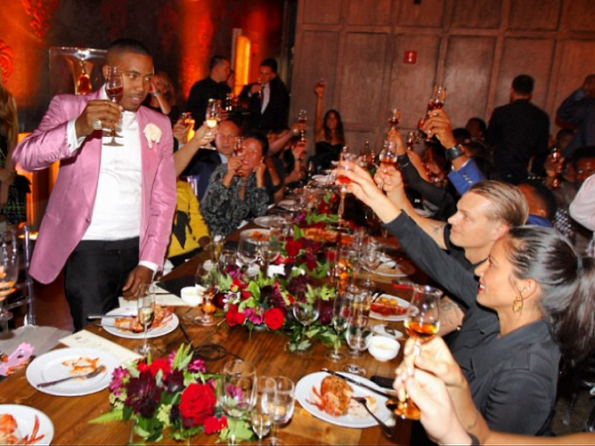 The God’s Son brought out his daughter and father to the celebration, along with celebrity and industry friends including: Mariah Carey, Jermaine Dupri, Olivia Mumm, Anthony Mackey, Melanie Fiona and a few other familiar faces. 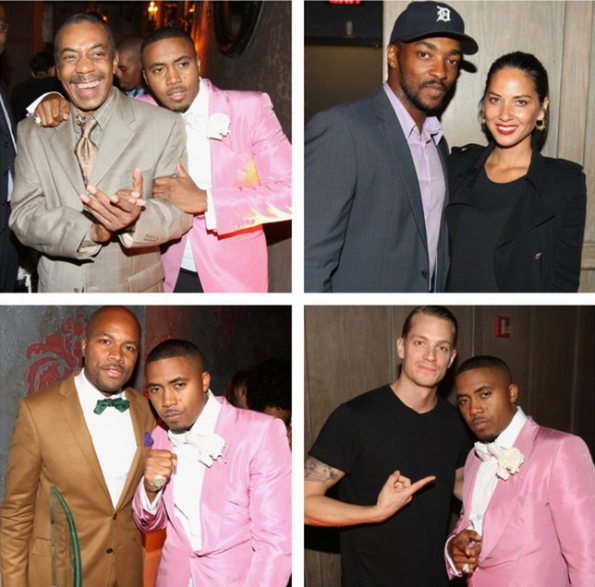 For more celebrity photos, visit theJasmineBRAND.com. 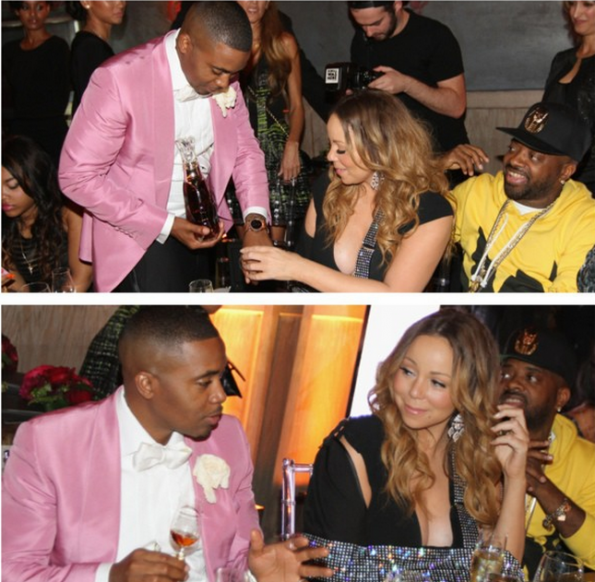 Mariah and Nas..looking real ‘Chummy There’. 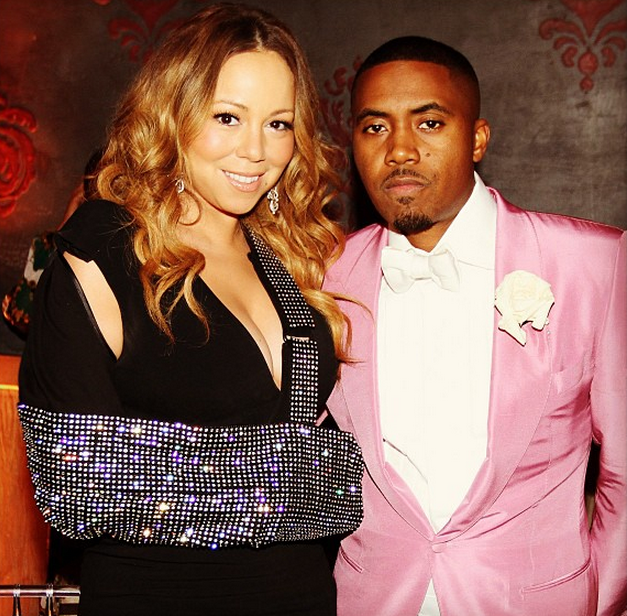 As I think about it, he fits her better than Nick..always thought that was a mismatch??? ?